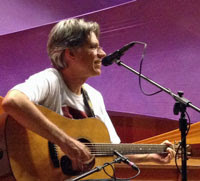 TaborGrass: Guitar Workshop with Greg Stone this Saturday at Taborgrass! Guitar Workshop with Greg Stone this Saturday at Taborgrass! Guitar players please join us at Taborgrass this Saturday at 11:30am. Greg will be focusing on basic technique, bass runs, and positions up the neck. Hope to see you there!